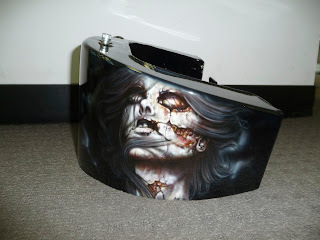 Want a set of mirrors that will make your Harley stand out? 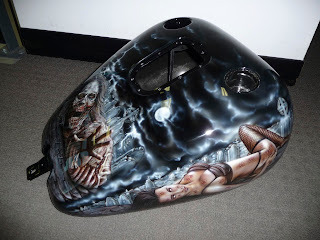 Airbrushing and custom paint is not just applicable to your Harley, car, chopper, hotrod etc...as you can see from the pictures we can airbrush a variety of different surfaces with these mirrors being a perfect example. 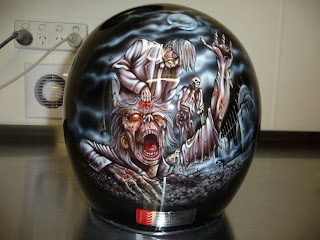 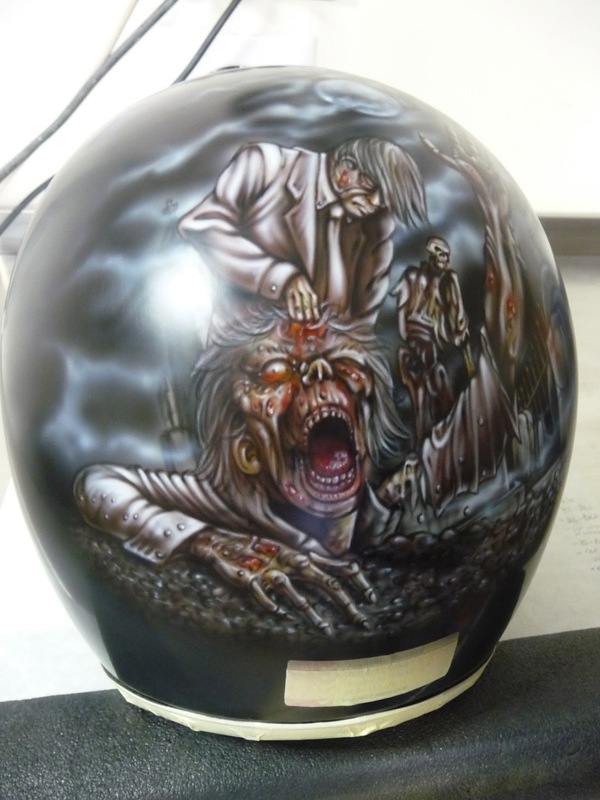 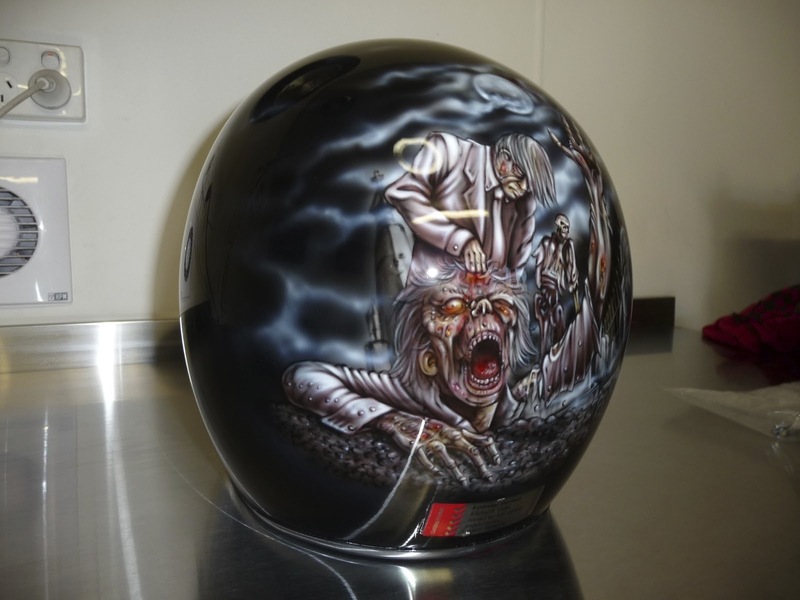 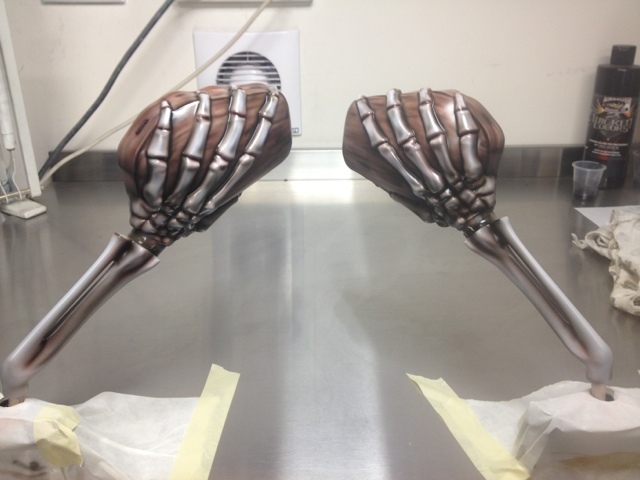 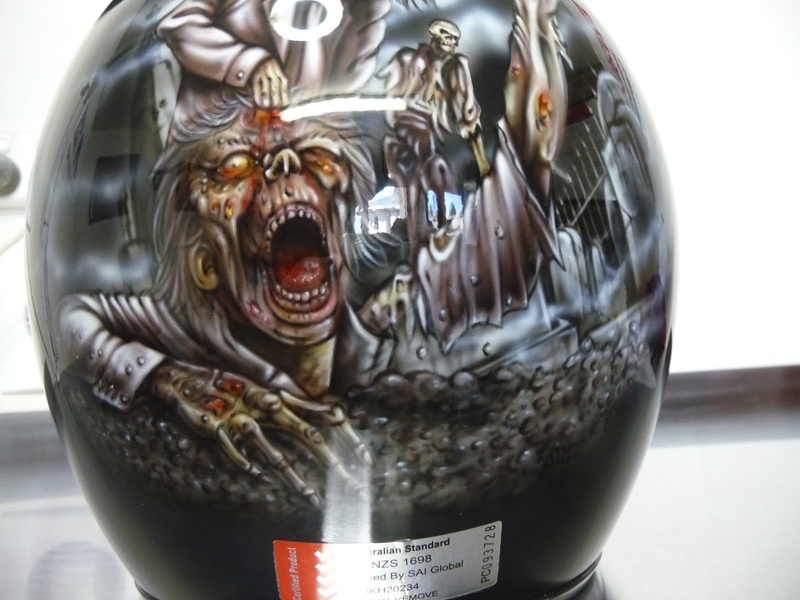 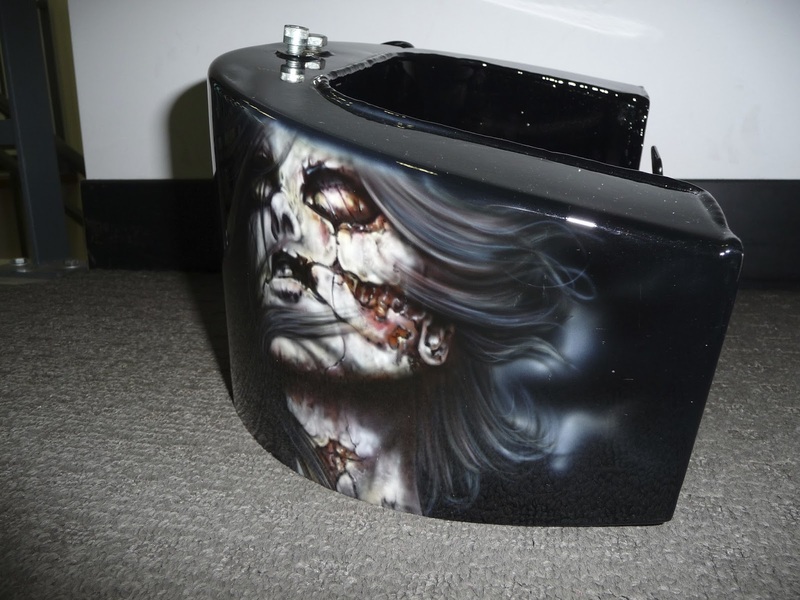 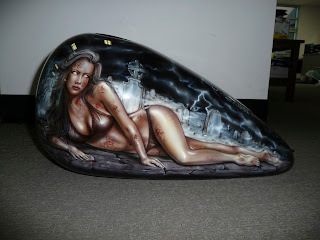 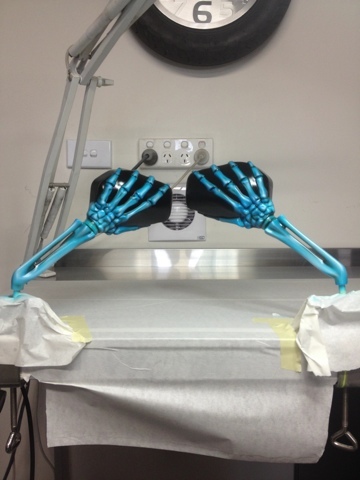 Contact us today www.airbrushasylum.com.au to see what we can airbrush for you. 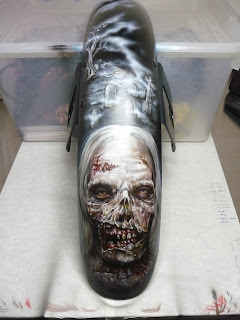 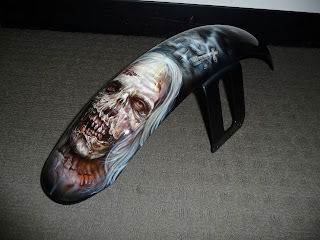 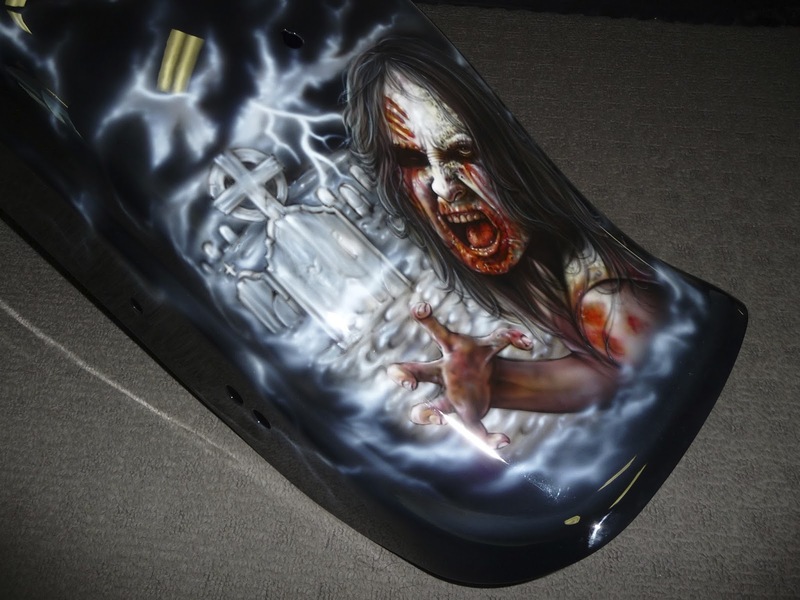 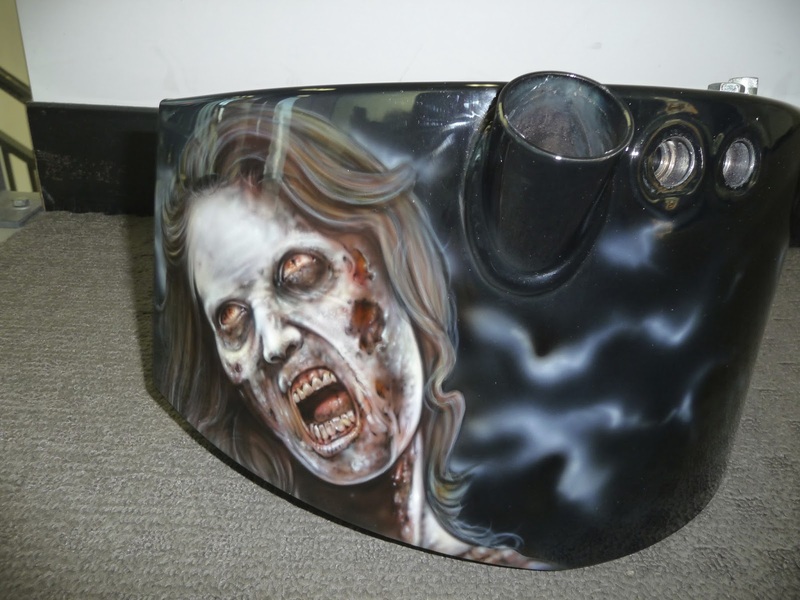 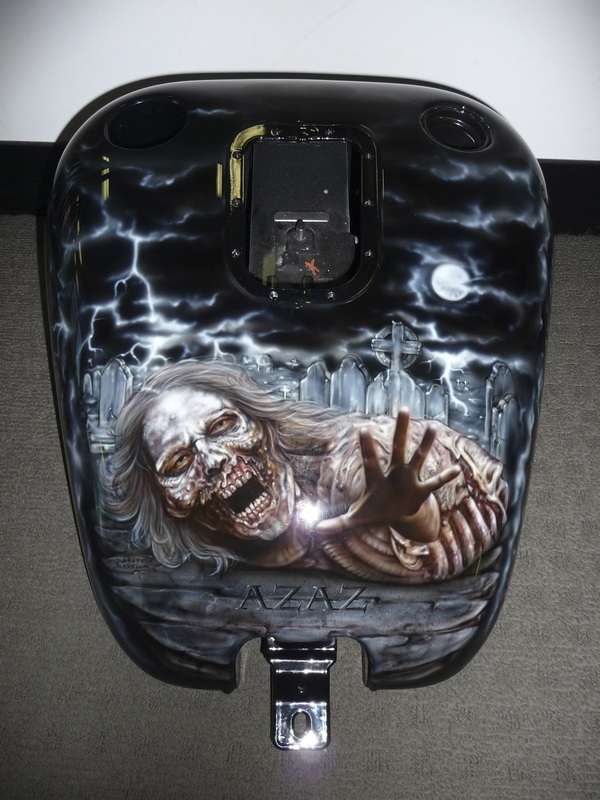 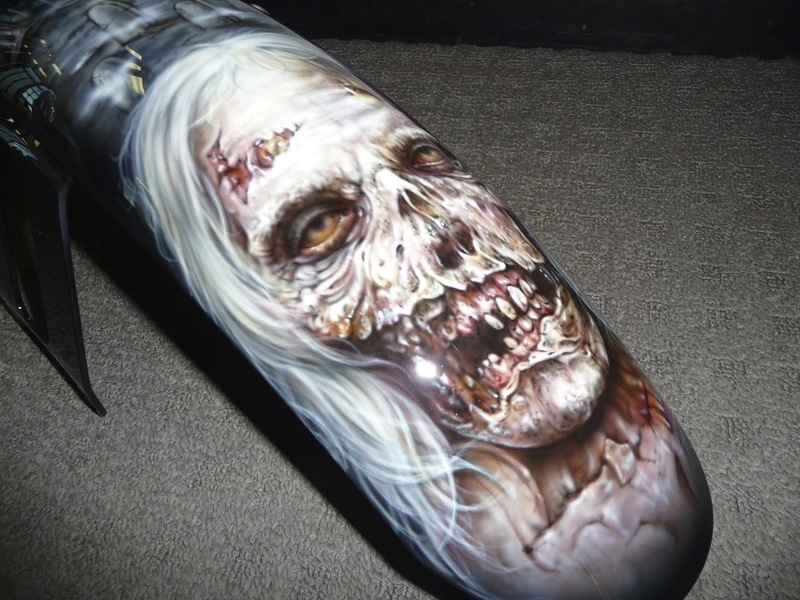 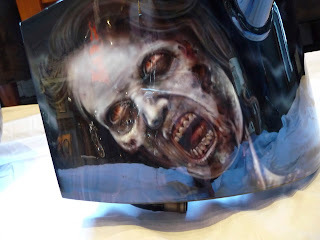 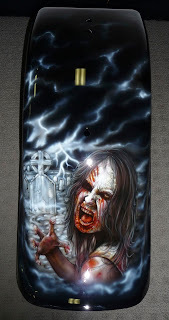 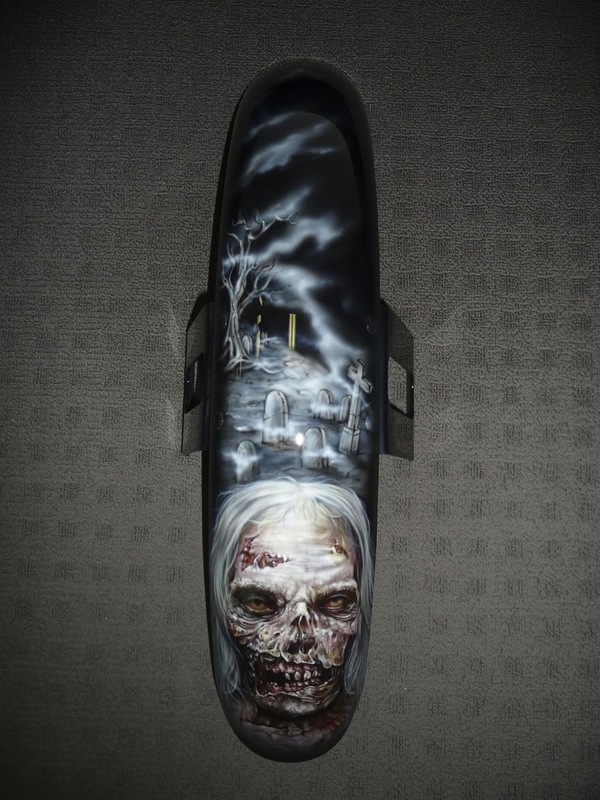 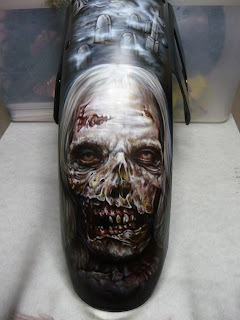 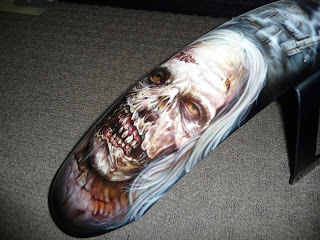 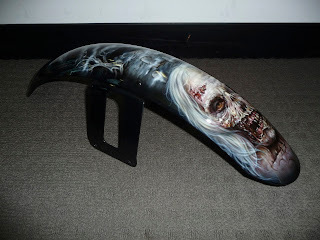 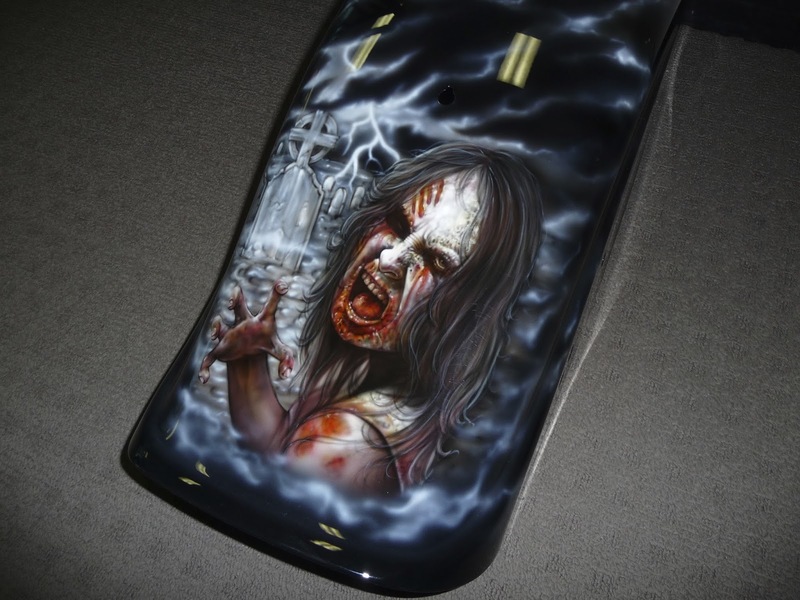 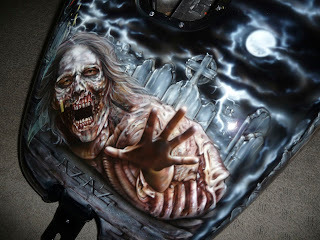 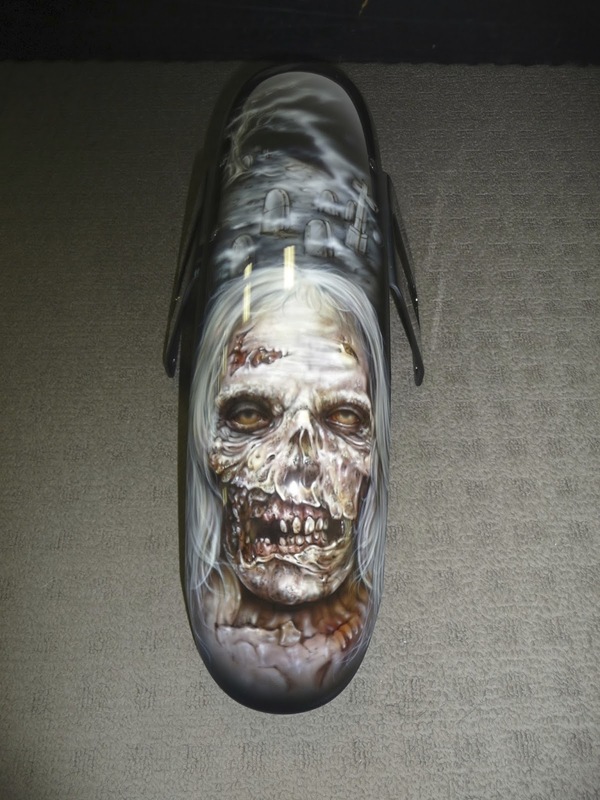 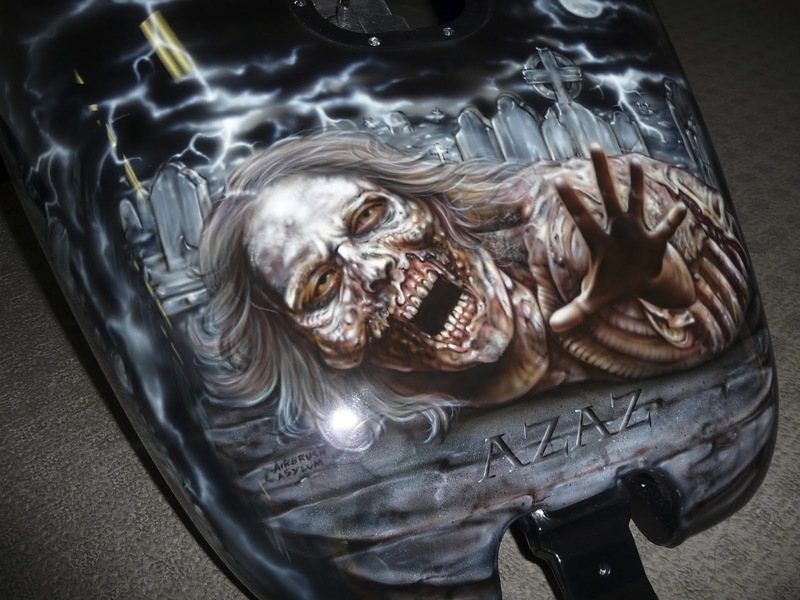 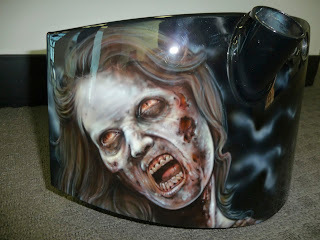 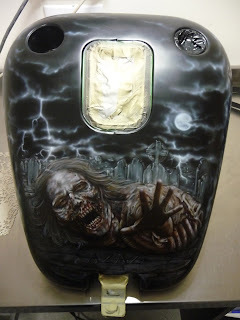 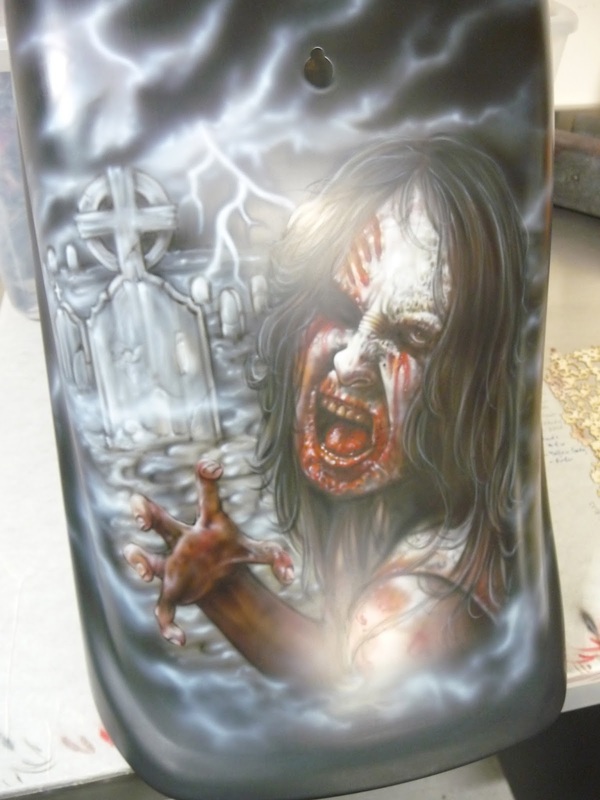 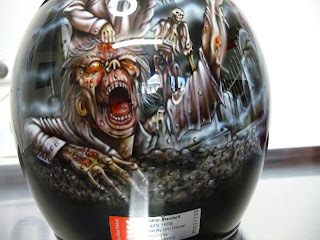 Zombie harley, airbrushed murals completed pictures. 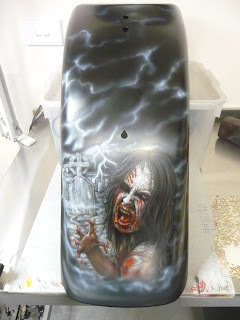 The following Blog contains pictures of one of the most involved projects that we have completed this year. 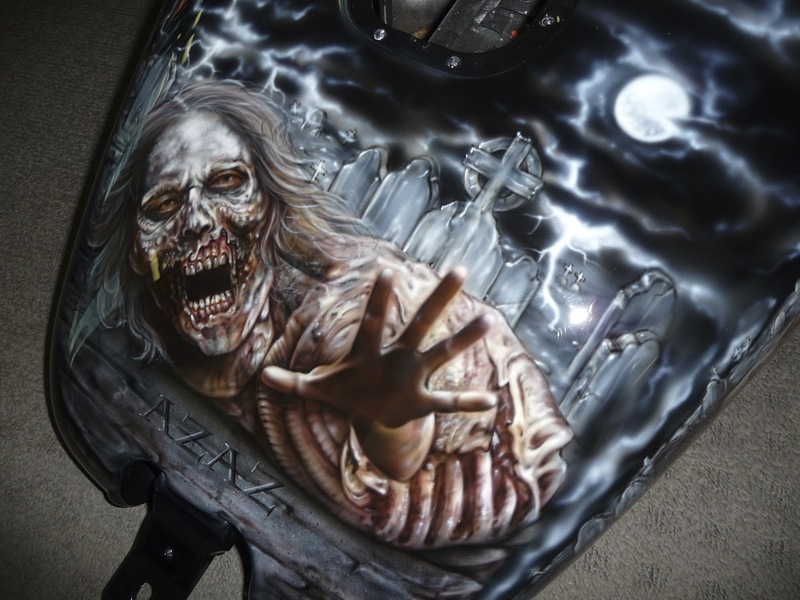 A total of 8 murals span across the different panels of this Harley, even the oil tin and helmet have been airbrushed. 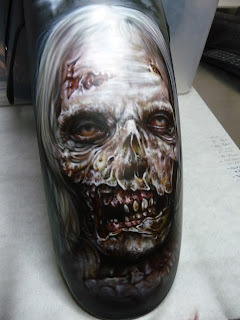 The project took over 65 hours to complete with numerous hours spent rendering the different skin textures and overall defects in the zombie's skin. The graveyard backgrounds were kept B&W in order to keep the focus on each of the main murals. 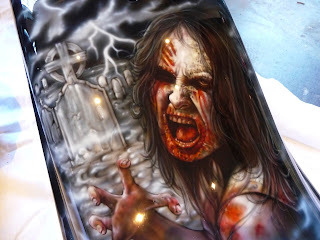 Airbrush Asylum Courses, Promo Video. 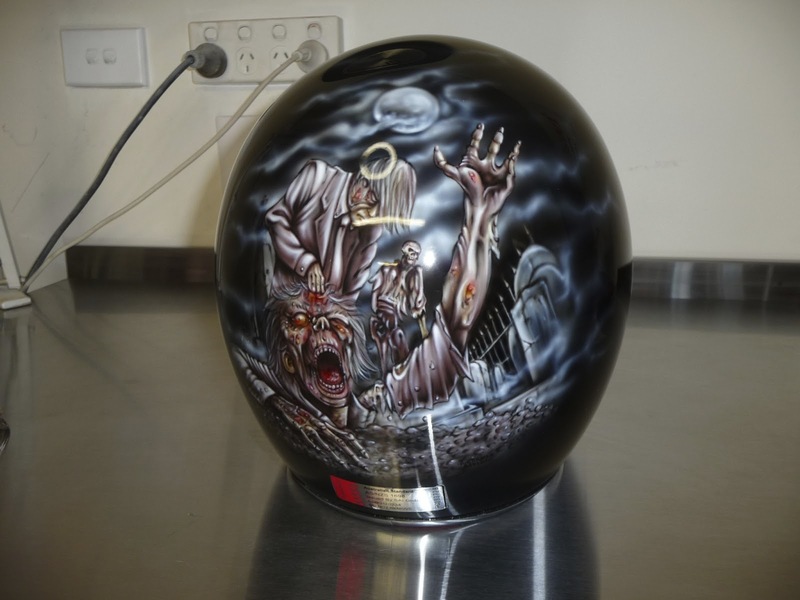 Airbrush Asylum : Airbrush Courses NOW Available.